Watershed are proud to invite you to our first ever season of immersive experiences in virtual reality. Virtual reality is no longer a science fiction dream: it is increasingly an accessible reality that presents the potential for a whole new breed of cultural experience. A new generation of artists are emerging; working out how best to use this medium to create brilliant, meaningful experiences. Guest curator Catherine Allen - who is a Bristol-based VR pioneer, Pervasive Media Studio resident, and producer of Easter Rising: Voice of a Rebel - has programmed this mini-season of live, immersive experiences which seek to showcase different aspects of VR's artistic potential, ranging from awe to intimacy, memory to empathy. We will be hosting optional informal discussions after each experience where you can tell us how it was for you. There will be an opportunity to meet some of the filmmakers as Catherine (curator and producer of Easter Rising) joins Watershed's Cinema Curator for a Q&A, and Dorothea Gibbs (director of Natural Reality 2:1) introduces her ideas around technology having the power to disconnect us from reality, as well as to inspire creativity. So please join us and live through another person's memories of the past (Easter Rising: Voice of a Rebel), bathe yourself in the wilds of nature (Natural Reality 2:1), dive headfirst into a powerful love story (Through You) or let go of your preconceptions and step into another's shoes (Dancing With Myself). Tickets to the VR Sessions are £1.50 per experience. They range in length from 6 to 16 minutes. To book please visit the session pages below. Places are extremely limited (only six per session) and each session has to start exactly on time so please arrive at Waterside 1 (first floor of Watershed just through the Café/Bar) *AT LEAST 10 minutes before your experience to register. * late arrival may result in us giving your space to someone on the waiting list. (if this happens we will refund you but unfortunately you will have missed out on your experience). The Q&As are free and open to everyone - please book your free ticket in advance. Please read our Guidelines and FAQs about taking part in a Virtual Reality session here. Join Dorothea Gibbs (director of the powerful virtual reality experience Natural Reality 2:1) for a free Q&A hosted by Catherine Allen, the curator of our VR Sessions. 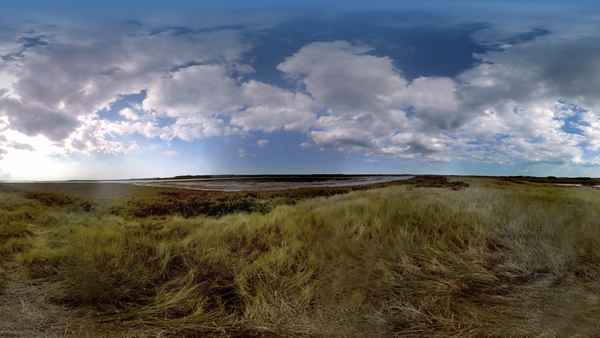 Get swept away from the Bristol city centre and onto the coarse, untamed wilds of the Norfolk coast in this gorgeous VR art experience about presence, nature, and the very personal relationships we have with our devices. A first person, virtual reality retelling of a September evening filled with friends, food and seizures - offering a window into the epileptic life of the piece's creator, Jane Gauntlett. Join us for a lively Q&A session between VR producer and VR Sessions’ curator, Catherine Allen and Watershed’s cinema curator, Mark Cosgrove. Live through the memories of a rebel in Dublin's 1916 Republican uprising in the 'genre-defining' (Broadcast Magazine) Easter Rising: Voice of a Rebel, one of the BBC's first VR documentaries.